Strattera, for ADHD: $421 dollars in the United States, $84 dollars in Mexico. The Ventanas Mexico website runs on a Squarespace platform. Squarespace recently added a feature that enables me to see what queries lead people to my site by keywords. Given I write about dozens of topics related to Mexico, imagine my surprise to see the keywords leading people to my site were Zytiga, Embril, and Humira. The names of expensive drugs. I felt terrible that I had not delivered on those queries, as I had only posted the U.S. prices of drugs in the context of demonstrating the excesses of the American healthcare system. Now that I know people are seeking this information out and running into my site, I’ve taken some time to research what the most expensive drugs in the U.S. cost in Mexico, starting with those most commonly used by people over 50 years old. Even if you're not yet in the market for these drugs, I'm sure you'll find the list enlightening. This information is not available to you in the U.S. without a Virtual Private Network (VPN). The reasons are probably no more nefarious than the Google algorithms behind them. Google searches (and I would assume other search engines) are location-based. While that’s great when you are looking for a dry cleaner, it’s not so good when you are doing research for information like drug prices in another country. The best way to access this information is by using a VPN (Virtual Private Network) to hide your location from search engines. With a VPN you choose what server you want to use. When I had a VPN in Mexico last year, I chose a Denver server to prevent my searches from coming up local and in Spanish. In this case, to access the information about drug prices in Mexico or another country, you would need to choose a server in the country of choice and do the query in that language. Being in Mexico already, I didn’t need a V.P.N. All I needed to do was ask, “Cuanto cuesta Zytiga en Mexico.” If I were in the States seeking the information, I'd choose a server in Mexico, and do my searches in Spanish just to be sure. The prices you see in the list below are what the drugs cost from major drug wholesalers in Mexico. The packaging and trademark information is identical (other than being in Spanish). If the price isn’t listed beside a drug name, it doesn’t necessarily mean it’s not available. It may be distributed only by hospitals or doctors. I was surprised how much the U.S. prices have fluctuated since I originally looked them up a year or so ago. If I've written only "Mexico" beside the drug, it means the price wasn't available in a simple search. If there is a particular drug you want me to check that is not on this list, email me at kerryinmexico@gmail.com. I'll do my best. Mexico has strict laws for the manufacturing of medicines. Mexican drugs are of just a good a quality as the U.S. if using reputable sources. Examing your costs and your character when choosing a dentist in Mexico. Kerry Baker is a partner with Ventanas Mexico, providing resources to potential part-time and full time expats. She has written two books. 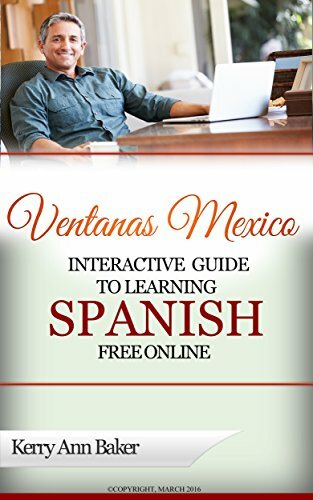 The first is the "Interactive Guide to Learning Spanish Free Online,' a curation of the best free Spanish teaching tools on web, organized into lesson plans with interactive links. 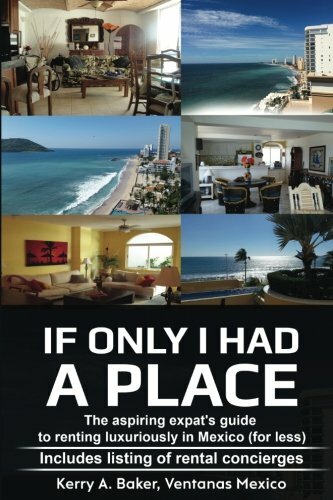 The second book is "If Only I Had a Place," a book on renting luxuriously and for less in Mexico. Avoid the pitfalls and take advantage of the opportunities you have as an expat renting in Mexico. Extablish a holistic system that will enable you to rent well year after year and lay the foundation for the best possible expat existence.